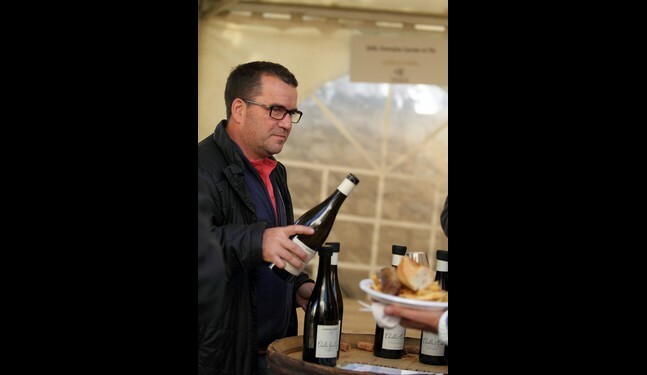 The Fête des Vins celebrates the new vintage in Chablis! 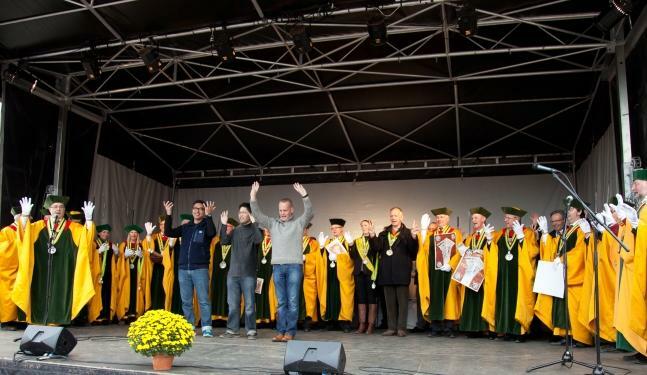 This year will be the 70th anniversary of the Fête des Vins in Chablis on 27 and 28 October. 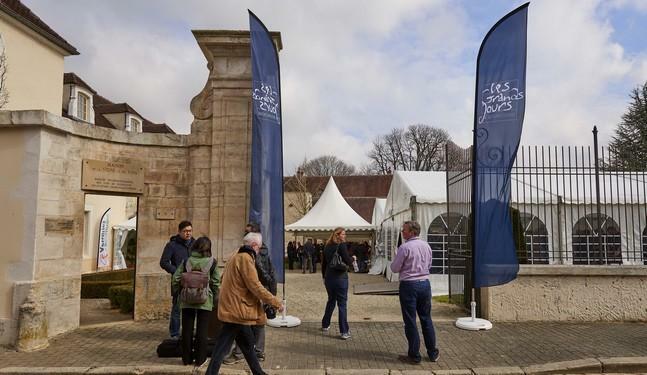 Newcomers, wine lovers, industry professionals, and the general public are invited to the village of Chablis to celebrate the region’s wines and the new vintage. The program includes the baptism of the new vintage, tastings of the different levels of appellations and a range of vintages offered by some 40 participating producers, inductions into the brotherhood of Les Piliers Chablisiens, local gastronomy stands, introductory sessions on the art of wine tasting, exhibitions of winemaking equipment, a marching band, hikes through the vines, a wine-related tourism stand, and children’s entertainment including face-painting and clowns. 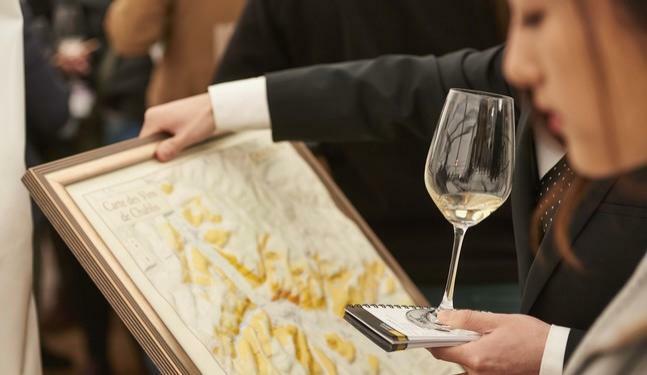 Following on from last year’s celebrations, visitors can also sample the latest wines to win medals at the Chablis Wine and Grand Auxerrois Wine Competitions. 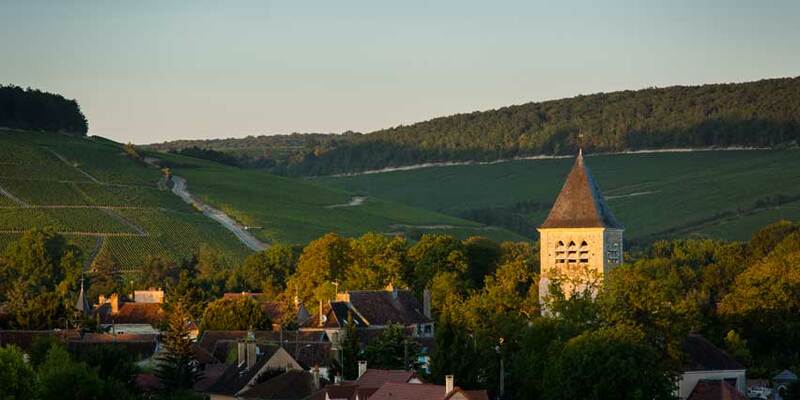 The event is organized by the Chablis tourist office along with the Bourgogne Wine Board (BIVB). 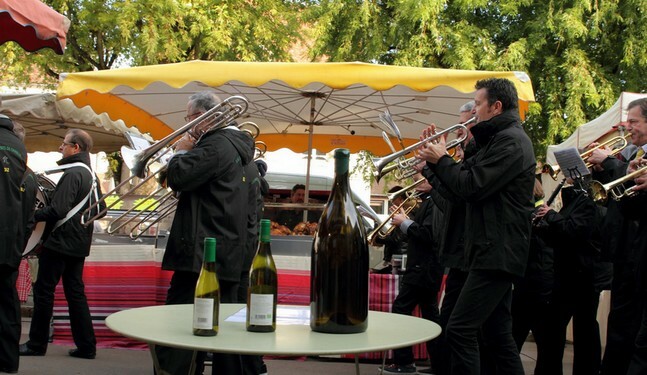 To mark the 70th edition of the Fête des Vins, a free apero-concert that is open to all will be held on Saturday 27 October at 6pm in Place du Général de Gaulle in Chablis. Domaine ALEXANDRE, Domaine BARDET et Fils, Domaine Pierre-Louis et Jean-François BERSAN, Domaine BESSON, Domaine BORGNAT, Jean-Marc BROCARD, Domaine CAMU Christophe, LA CHABLISIENNE, Domaine Christine, Elodie & Patrick CHALMEAU, Domaine CHANTEMERLE, Domaine de CHAUDE ECUELLE, Domaine du CLOS DU ROI, Domaine de la COTE DE FASSE, Cave COULAUDIN-BUSSY, Domaine COURTAULT, Domaine Agnès et Didier DAUVISSAT, Domaine Jean-Paul et Benoît DROIN, Domaine FERRARI, Domaine Nathalie et Gilles FEVRE, William FEVRE, GARNIER et Fils, Domaine Alain GEOFFROY, Domaine GEORGE, Domaine Jean-Hugues et Guilhem GOISOT, Corinne et Jean-Pierre GROSSOT, Domaine des HATES, Domaine LAROCHE, Domaine LONG-DEPAQUIT, Domaine des MALANDES, Domaine Alain MATHIAS, Domaine LA MEULIERE, Domaine MICHELET, Domaine Christian MOREAU Père et Fils, Domaine MOREAU et Fille, Domaine Louis MOREAU, Domaine de la MOTTE, Domaine du PETIT BERU, Domaine PETITJEAN, Domaine PHILIPPON Frères, Isabelle et Denis POMMIER, Maison REGNARD, Domaine Camille et Laurent SCHALLER, Domaine SERVIN, Maison SIMONNET-FEBVRE, Domaine VOCORET et Fils, Domaine Guillaume VRIGNAUD. 9:30am to 11am – Hike through the crus. A free hike of around 4.5km with the Sentiers Chablisiens association. Departures from Chablis town hall at 1 Place Lafayette, every 15 minutes. First departure at 9:30am and last departure at 11am. Accessible for everyone with the appropriate footwear. 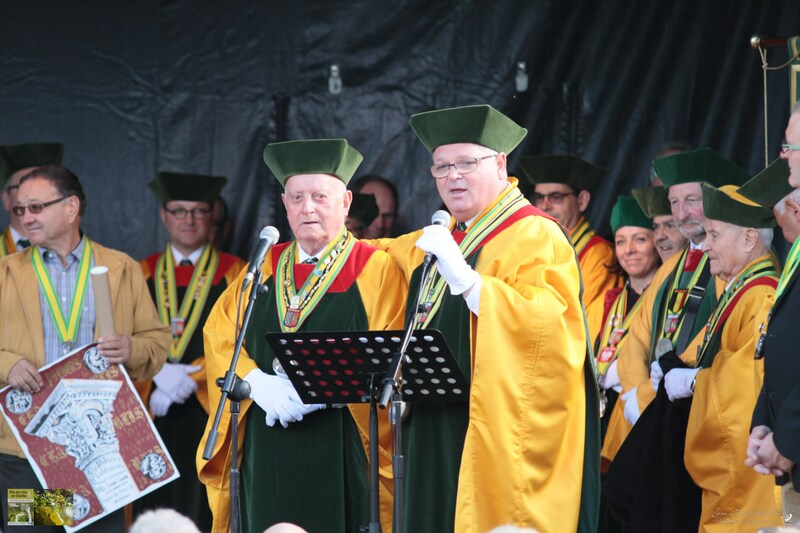 11am – Parade of the brotherhood of the Piliers Chablisiens to the stage in Place Lafayette for the swearing-in ceremony for new members, in the presence of the patrons of the new vintage with speeches from local dignitaries. 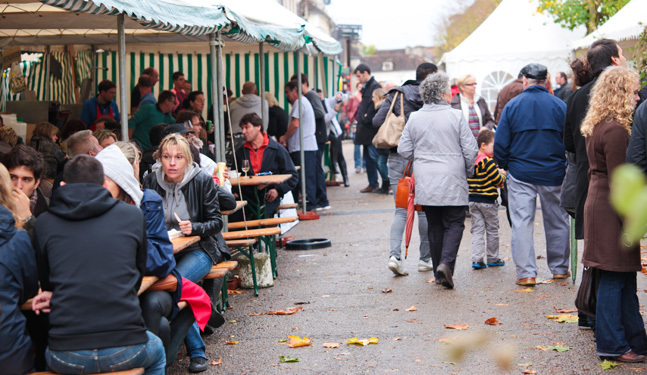 You can also enjoy the traditional market in Chablis which is held every Sunday morning in Rue Auxerroise. For the second time, Chablis wines are represented at the International Cool Climate Chardonnay Celebration (I4C) which takes places in Niagara-on-the-Lake, Canada, from 20-22 July. To kick things off, on Friday 20 July, lunch is sponsored by Chablis wines. 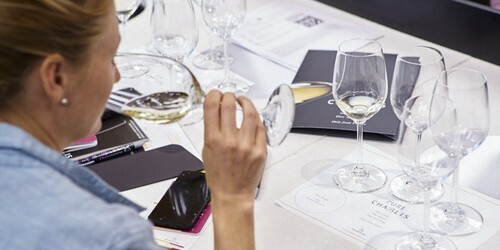 Then from 3:30pm to 4:15pm, a seminar entitled “From Petit Chablis to Chablis Grand Cru” will run at White Oaks Resort, which will enlighten participants on what makes Chablis wines so unique. 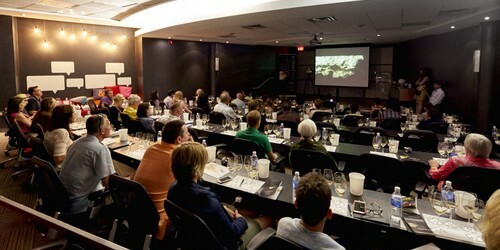 Chablis wines will also have a dedicated space for the School of Cool trade tasting. 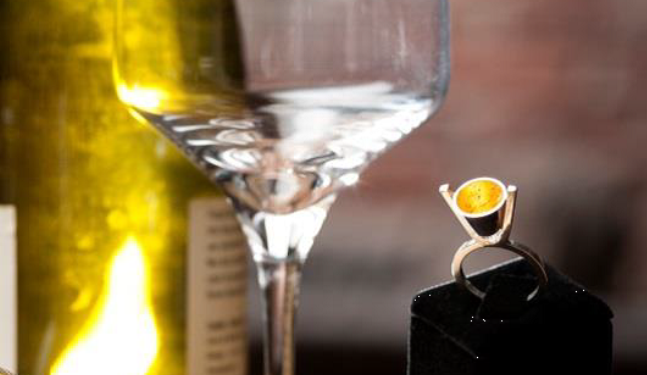 The Bourgogne Wine Board is delighted to present you the Chablis Wine Shop Promotion. June’s Wine Shop Promotion makes you discover or rediscover several producers from the Chablis wine region in Bourgogne. 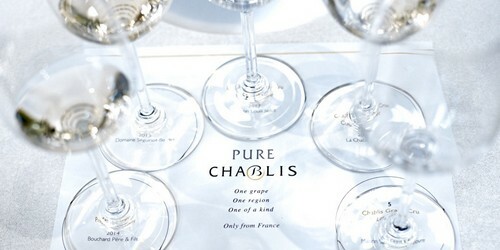 16 Chablis wine tasting are organized during the month of June in different locations throughout Hong Kong. Find more details by clicking here. FLEURS DE VIGNE IS BACK! The Fleurs de Vigne celebration, which has been missing from the riverbank in Auxerre since 2014, is back and this year will be held on Sunday 3 June 2018. Fleurs de Vigne is organized by the Auxerrois Tourist Office in partnership with the BIVB. 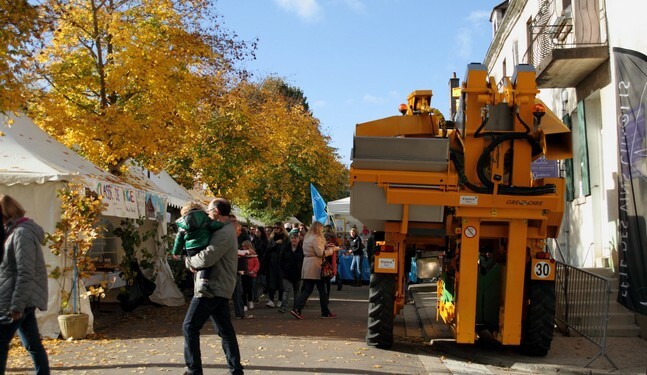 The event, which runs every two years, was not held in 2016, in order not to clash with the Saint Vincent de Bourgogne celebrations which were held in nearby Irancy that year. 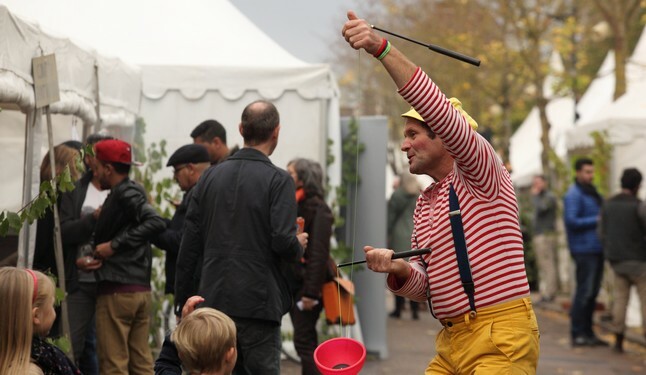 On Sunday 3 June, the winemakers of the Yonne will take over the riverbanks in Auxerre to share their produce and tempt wine lovers and the general public alike, and there will be plenty more entertainment besides. 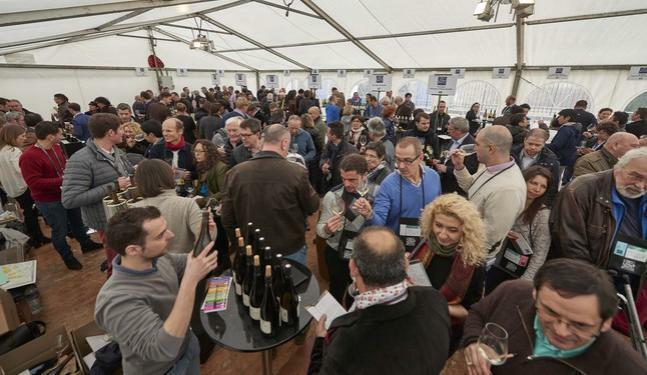 Every year, the Chablis edition of the Saint-Vincent Tournante festival attracts thousands of visitors from the Bourgogne region, France, and the rest of the world, including wine-lovers, industry professionals, and journalists, who descend on a single village in Chablis. Saint Vincent is the patron saint of winegrowers and symbolizes solidarity. He is celebrated every year, his statue passing from village to village. In 2017, some 10,000 people took part in the 49th edition of the Saint-Vincent Tournante, held in the village of Poilly-sur-Serein. On 3 and 4 February 2018, it’s the turn of the village of Viviers to welcome the party. And as dictated by tradition, producers from the village all give some wine from the vintage to make the “Cuvée Saint-Vincent”, which is enjoyed during the festivities! 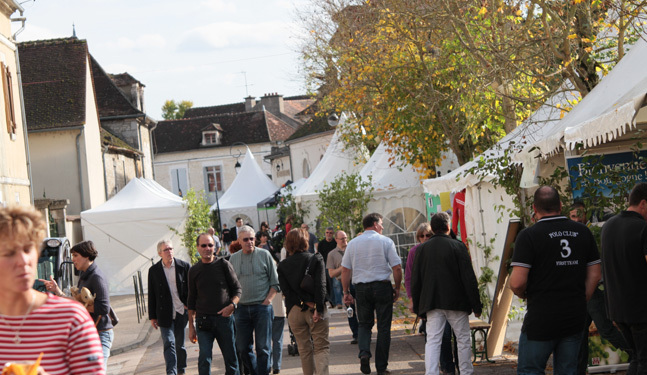 The 69th Fête des Vins was enjoyed by around 4,000 visitors during the weekend of 21 and 22 October in the streets of Chablis. It began with the traditional baptism of the 2017 vintage in Viviers, the commune which will be hosting the Saint-Vincent Tournante du Chablisien on 3 and 4 February 2018. The patrons of the new vintage are Cyrielle Debreuil, star of the new season of the American Netflix show “Outlander”, and actor Gérard Chaillou. 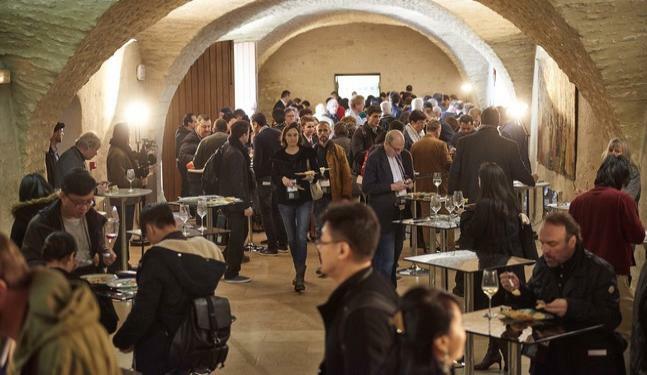 People from all over the world came to enjoy the party – including Brazilians, Japanese, Chinese, Swiss, Australians, Americans, Germans, Britons, Belgians, and Canadians – reflecting the international appreciation for Chablis wines. 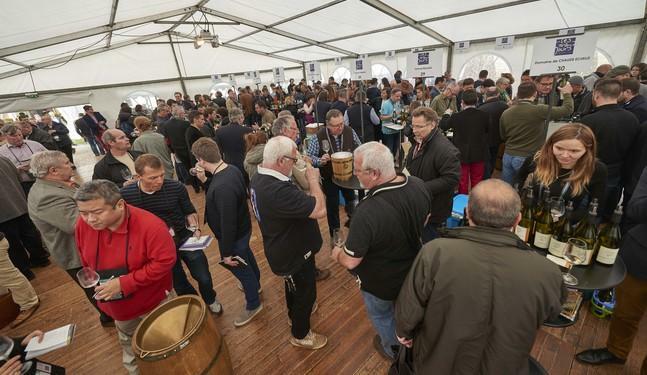 And we look forward to seeing you on 27 and 28 October 2018 for the 70th edition of the Fête des Vins de Chablis. Share the spirit of the event through some photos below. A stroke of Chablis luck! The winner of the Pure Chablis Canada 2016 competition, Torontonian Stéphanie Guth, has gone on to be named New Zealand’s Sommelier of the Year. 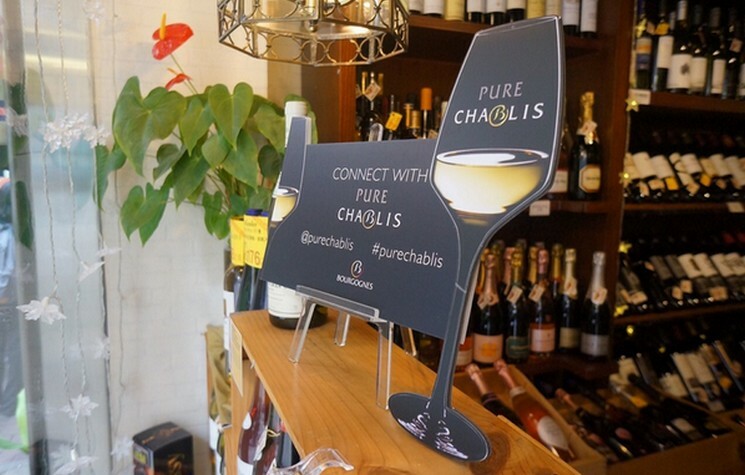 The Pure Chablis Canada 2016 competition brought together three of the next generation of sommeliers from Toronto with some of the very best food and Chablis wine combinations. Chablis clearly brought Stéphanie luck, just like it did with Iwata Wataru, named Best Japanese Sommelier 2017, just a few weeks after receiving the Chablis 2016 prize in partnership with the Young Sommelier Competition organized by the Japan Sommelier Association (JSA). Click here to find out more about Stéphanie Guth in an article from The Real Revue from 31 August. In 2016, the video of "the Chablis winegrowing region seen from the sky" won the prize of the best professional film on wine at the 23rd Festival International Œnovidéo in May, and the prize of the best wine video at the Born Digital Wine Awards in November ! Discover the 2016 winners Born Digital Wine Awards here. 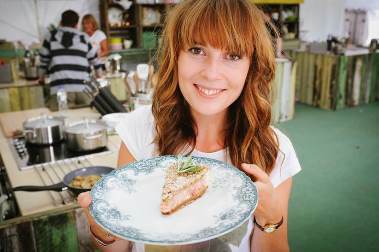 This year, Chablis challenged several top UK food bloggers to come up some summer food pairings to go with Chablis wines. Many people like to enjoy a glass of Chablis at Christmas time, but sometimes people can forget it can also work incredibly well with summer dishes and flavours. Chablis wanted to demonstrate what great summer cuisine pairings there are out there. Several bloggers including feast with bron, Heidi Roberts Kitchen Talk and Eggs On The Roof took part and came up with some fantastic food pairing suggestions which the judges thought went perfectly with the Petit Chablis and Chablis wines they were challenged to find a summer food match for. The overall winner was Elly McCausland with her blog Nutmegs,seven who was selected for the overall creativity of the food pairing and the explanations behind her choice.